The GNSSF is a basic conceptual structure and a set of guiding principles for achieving and maintaining a high level of safety and security at nuclear facilities and activities around the world. A cornerstone for the effectiveness of the GNSSF is strengthening of networking. The Global Nuclear Safety and Security Network (GNSSN) is one of the key elements of the GNSSF. 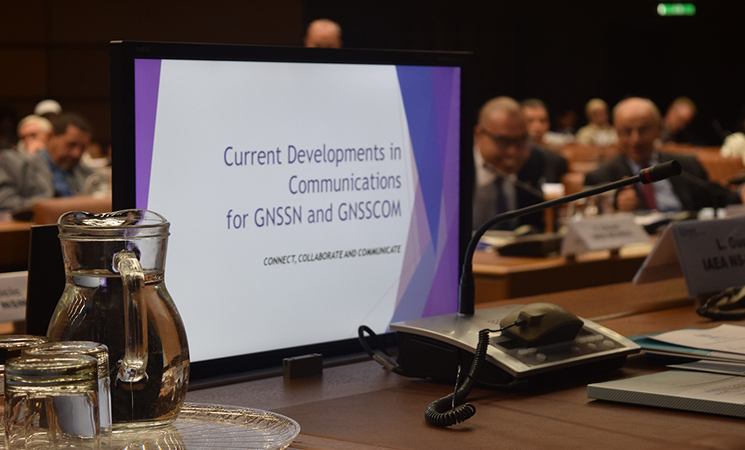 The GNSSN is the gateway to sharing knowledge and services in order to achieve worldwide implementation of a high level of nuclear safety and security. 3.Building capacity — Establishing a capacity building framework to support the national nuclear safety and security infrastructure in the Member States. •Process Owners sustainability and continuous improvement of the GNSSN. 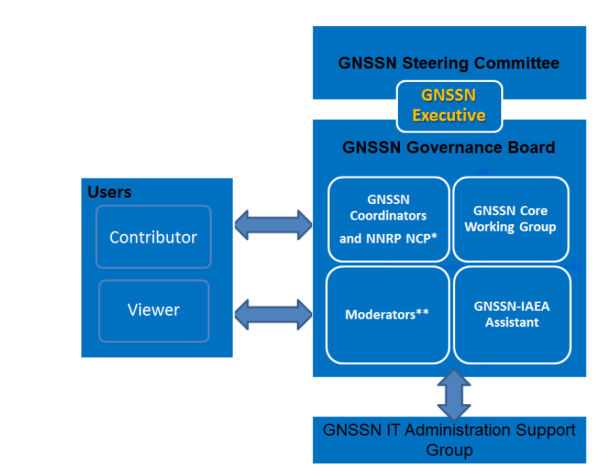 This Governance Plan is meant to ensure that the operational features of the GNSSN platform and, thereby, also its integrated or related networks, forums and portals can be effectively managed within a collaborative environment in order to align the activities of these to the GNSSN’s overall vision and mission. Rules, procedures and policies are required to ensure correct usage and an adequate operational status of the GNSSN platform. 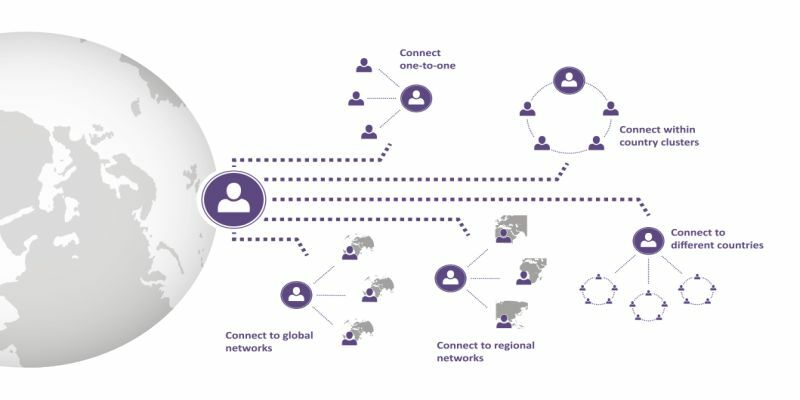 The primary goal of the Governance Plan is to define a human infrastructure of assigned roles and responsibilities and to serve as an initial policy document in order to facilitate the seamless operation of the various networks, forums and portals integrated into the GNSSN platform. 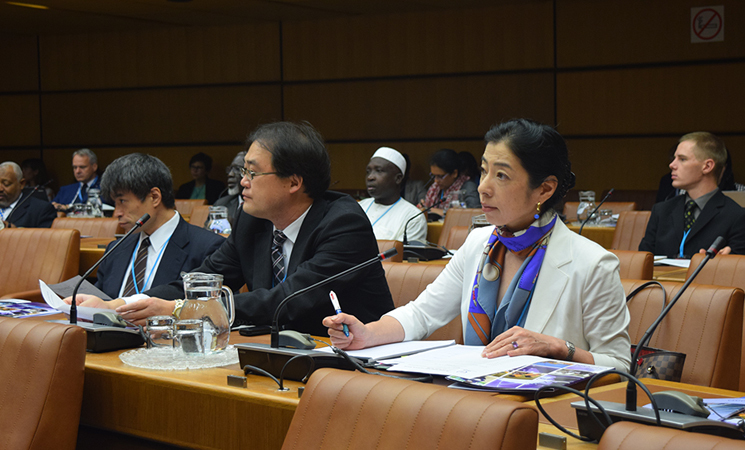 The Steering Committee of the GNSSN is a standing body of suitably qualified persons with responsibilities in nuclear safety and/or security who have recognized expertise in regulatory matters and nuclear knowledge management. 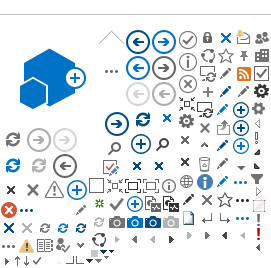 This page contains the links to the web sites of the National Regulatory Bodies and the Responsible Bodies for Atomic Energy as well as available National Reports (CNS, JC and IRRS), the links to the IAEA Databases (NNRP, CNPP, NEWMDB, PRIS and NFCIS) and Other Information Services (WNA, NEA and OECD). Note: if you encounter incorrect or outdated data on this page or if you think you could complement it, please be so kind and send the right information to the GNSSN web administrators. Your feedback is very much appreciated.